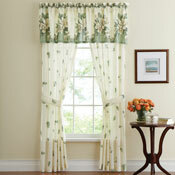 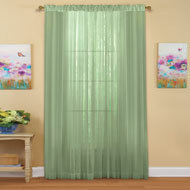 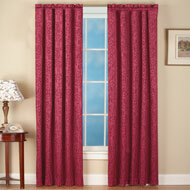 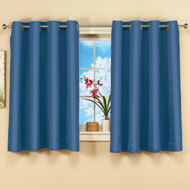 Valance features a magnolia design and panels feature an allover leaf pattern. 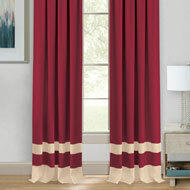 Both have rod pocket tops. 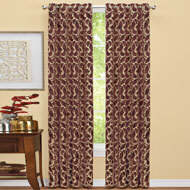 Panels include 2 tiebacks. 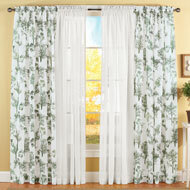 Machine wash. Cotton, polyester. 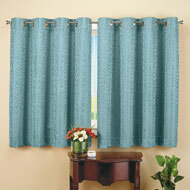 Valance is 84"W x 18"L, each panel is 42"W x 84"L. Available as a Valance or Panel Pair. 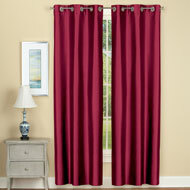 Available in either Sage, Burgundy, Blue or Lilac.